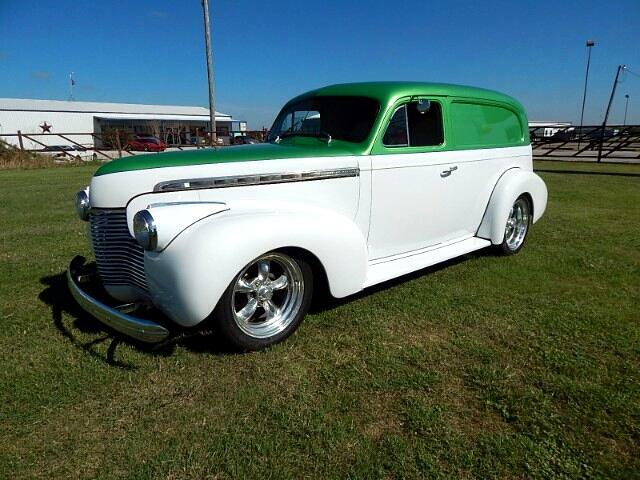 Lone Star Muscle Cars Is Proud To Present This Low Production 1940 Master Delivery. Only 2590 Were built in 1940 so rare body style and here is the cool part this car is all resto moded to modern drive line. Powered by a fresh Chevrolet 350 With a 700R4 Automatic transmission, Mustang Two Front End With power rack Steering Four Wheel Power Disc Brakes 12 Bolt Rear End, Vintage Air And Heat, Back Up Camera. All New Upholstery From Top To Bottom. This is an all steel car ready for the car show or cruise call for more info. Message: Thought you might be interested in this 1940 Chevrolet Master.